A new Zelda game is always a ripe topic for speculation and discussion, yet when the latest release takes the stage in two weeks' time at this year's E3, the pressure on its creators will be of a different nature to the usual expectations of living up to the high standards they have set themselves. Moreso than the Mario series, which has kept the same basic rules of play but drastically evolved the framework in which they are employed every few releases, the Zelda series struck gold with its very first iteration and bar the inevitable enhancements that have come with changing technology, it has produced many masterpieces but few that offered any major evolutions of the tried-and-tested formula. Since the series' peak with Ocarina of Time however, fans have been growing weary of this repetition. Twilight Princess was a fabulous game (well, two-thirds of it anyway) but never felt surprising or new. Producing a masterpiece on your first attempt can be as dangerous in many ways as a failure because not only do you have to deal with massively disproportionate expectations of brilliance for your next work, but are also bound by how much of the original can be changed or replaced without attracted ire. Having achieved such success with both the series' first 2D and 3D iterations, the pressure is now firmly on Nintendo's shoulders to pull off an entry which both moves the series forward, but also keeps intact the elements that fans have come to love. I've been thinking a lot about sequels this week, mainly because I've been playing two of them with an eye for reviews in upcoming Wednesday post. Striking the right balance between the new and the old can very strongly depend on the reception of your first entry, not just in positive or negative terms, but also how the scenario was received, the specific mechanics and even whether the removal of one poorly-received element of play can end up adversely affecting part of the game that was universally beloved. I'll probably end up writing a lot more about this on Wednesday, but for now my eye is going to be on what I consider as one of the greatest of all gaming sequels and a prime example of how familiar gameplay can be given the same freshness as something brand new by employing it in a subtly different way. In gameplay terms, Majora uses its mask system to add subtle variation and depth to its scenarios, but sticks pretty closely to the usual Zelda formula of items, dungeons and sidequests. But the context in which it places those familiar mechanics makes all the difference. Majora picks up a short time after Ocarina ended with Zelda sending Link back to his childhood. The problem is that Link is not a child anymore: he has fought monsters and saved lives and worlds. Worse still, no-one around him is even aware of the battles he fought to protect them. So he goes in search of the friend with whom he shared his adventures, the only one who can understand what he has been through and the hero he has become. From the very beginning, directors Eiji Aonuma and Yoshiaki Koizumi are holding the truths of Ocarina up to a mirror and revealing their opposite reflections. Ocarina's happy ending for the many of Hyrule becomes a tragedy for the individual who made it happen. The use of these small reflections, showing us new sides to familiar things (remember that masterstroke of subversion when Link finally arrives for his final battle on the moon? ), is key to how Majora manages to escape Ocarina's long shadow while remaining true to the beloved elements at the series' core. Being forced to work under tight conditions has inspired many famous feats of creativity and in having to produce in less than two years a sequel to a game commonly considered as one of the greatest in the medium's history, Aonuma and Koizumi managed something remarkable by taking everything that was loved about Ocarina � its scale, its epic interpretation of the Zelda mythology, its sprawling dungeons � and turning them upside down. Where its predecessor told the story of one boy saving the world, Majora showed a boy discovering the stories of people who made the world worth saving. Each inhabitant of Termina is to their world what a dungeon was to Ocarina, yielding even the same rewards for solving their mysteries. 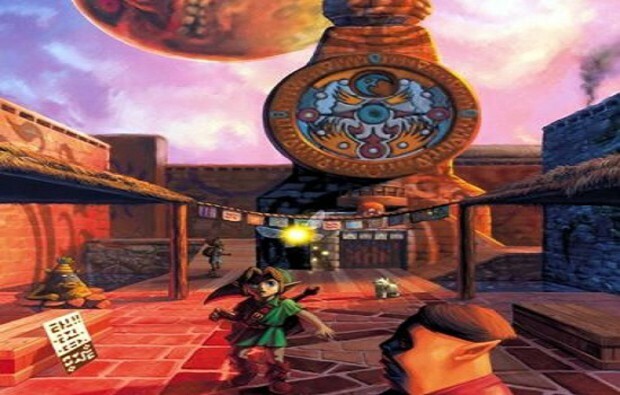 Where in Ocarina the rewards were items to empower the hero, in Majora the rewards are masks, representative of the people who gave them to you as thanks for your benevolence in helping them. Of course Majora has items too, but most of them are recycled and feel more like recovering something lost than gaining something new. The game presents its masks in the way many tribal cultures see them, as a captured spirit whose face can be worn to gain their power and wisdom. When Link solves a puzzle using one of the masks he has acquired, it is no longer a solitary hero overcoming an obstacle, it is him drawing on his friends and memories for the power to keep pushing forward on his quest to save them before their world ends. This idea of heroes being built by their memories and friends is at the heart of the game's story: both Link and his antagonist Skull Kid begin their stories as outsiders. But where Link goes in search of friends who can help him define himself, the Skull Kid shuns his friends in search of glory. Where Link acquires power by forming bonds with people around him, Skull Kid is betrayed and used by the mask he thought would give him alone great power. 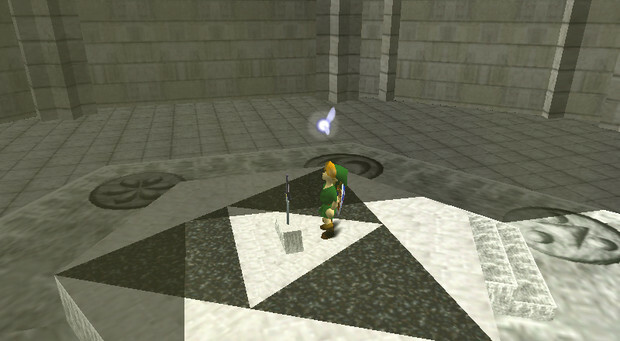 Even we players are brought into this theme at the start of the game: when Link is transformed into a Deku scrub, it is an alienating experience so early on. Seeing an old friend we admire and with whom have shared many adventures suddenly transformed and left in a weakened state is scary. Nintendo are asking of you: are you brave enough to push through that fear to save your friend? Will you turn off the console and leave Link to his fate, or will you show the real strength of your friendship in helping him no matter how he looks or how weak he has become? 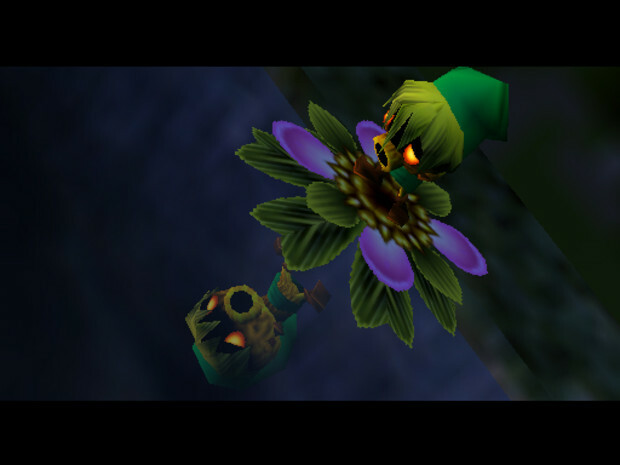 So many of Majora's stories are little vignettes of humanity like this one: an ignored, wounded soldier looking for validation. An old lady being mugged on her way home. An overworked postman, a dancer's spirit needing to pass on his art before he can rest in peace, star-crossed lovers divided by a cruel twist of fate. 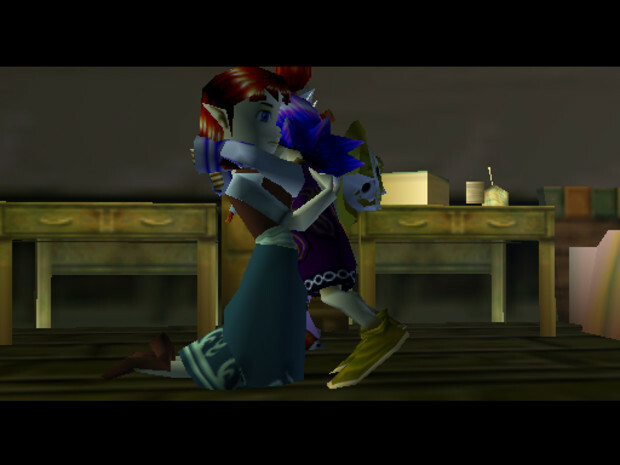 Ah, Kafei and Anju, whose final act on the eve of the world's end was to affirm their love for each other. In how many of our cold gamers' hearts are they still sitting in wait for the morning together? The three-day cycle takes a familiar criticism of the series (NPCs repeating themselves over and over again) and gives us the chance to break them free of that loop. The Hero of Time discovering that a world is not saved by conquering dark overlords, but helping each vulnerable citizen, one at a time. The symbolism of the city at Termina's heart being represented by a giant clock becomes all too apparent. One of Nintendo's greatest skills is in putting little human frailties into even the most peripheral of their characters, but never before have we been allowed to explore and help them overcome those vulnerabilites. Modern gamers might snort at the game's N64-era graphics, but amount of HD technology can make a cast of characters seem quite as human and real as Majora. That's the message Nintendo need to remember for whatever latest step they plan to unveil for the series at E3. We already love Zelda, but no matter how new her clothes and beautiful her body, sometimes more than anything we would like the chance to see into her heart.